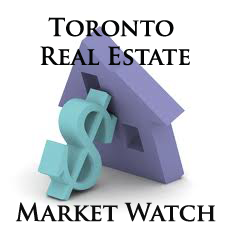 The Toronto Real Estate Board reported 7,118 residential sales in October 2017. This result represented an above-average increase between September and October of almost 12%, pointing to stronger fall market conditions. On a year-over-year basis, October sales were down compared to 9,715 transactions in October 2016. Total sales reported through the first 10 months of 2017 amounted to 80,198 – down from 99,233 for the same time period in 2016. Every year we generally see a jump in sales between September and October. However, this year that increase was more pronounced than usual compared to the previous ten years. So, while the number of transactions was still down relative to last year’s record pace, it certainly does appear that sales momentum is picking up. The MLS® Home Price Index Composite benchmark price was up by 9.7% on a year-over-year basis in October. Annual rates of price growth were strongest for townhouses and condominium apartments. The average selling price for October transactions was $780,104 – up by 2.3% compared to the average of $762,691 in October 2016.